The Business Competition Supervisory Commission (KPPU) is reviewing the fact that the Indonesian Ulema Council (MUI), which is a religious institution and not a state agency, has the sole right to issue halal certificates. “We suspect MUI of monopoly practices,” Abdul Hakim Pasaribu, head of KPPU Makassar’s representative office said Monday, March 3rd. 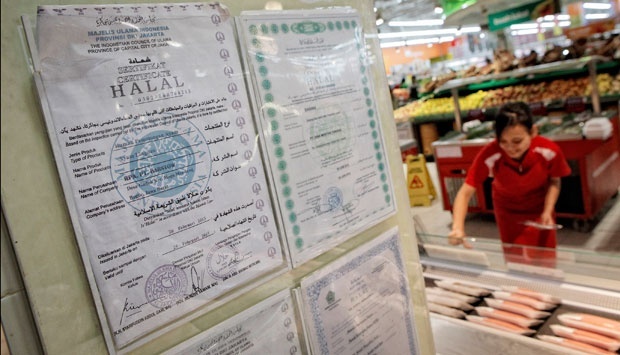 According to Hakim, issuing halal certificates is actually a state duty. The task may be handed over to other agencies if the state is unable to do so, but the appointment must be first be passed by the legislation not by a ministerial decree. “The information we have gathered shows that there was no appointment through legislation,” he said. Hakim said that the matter came to KPPU’s attention following reports that the MUI was charging the public for a fee for issuing the certificates. If these claims are proven true and the payments are not reported to the state, there is possible room for corruption. Additionally, MUI’s sole authority may affect the business competition climate in Indonesia. “What could happen is the possibility of MUI playing favors: benefiting one company while incurring losses for another,” he said. Hakim also said that if MUI was legitimately appointed by the state to issue halal certificates, the mechanism should have the same form as with the Customs office and state power company PLN’s–referring to the fact that both institutions are audited. MUI would also be required to report its income as non-tax state revenues. “But, if its status is a private institution, other institutions should also be given the opportunity to provide similar services. Because, if there is competition, the cost of certification might be cheaper,” said Judge. Furthermore, Hakim said that the public has minimum knowledge about business competition. Therefore, it is necessary to hold mass-scale education programs that can teach people to actively monitor and report business activities that might violate the Law on Competition. Jamaluddin, chairman of the Institute for Food Drugs and Cosmetics (LPPOM) at MUI South Sulawesi, said that MUI’s does not practice monopoly in the business of issuing halal certificates because it is done voluntarily; and the Council does not force the public into doing anything. “We just took the company to label halal as a form of consumer protection,” said Jamaluddin. According to Jamaluddin, the LPPOM MUI had never refused to provide certificates for companies that are unable to pay. The reason, he said, is because SMEs usually cannot afford to pay to get their products certified as halal. “But large companies, after we explain the mechanism of the halal certification, understand. As a servant of the people, [the MUI] never intend to gain profits,” he said. Jamaluddin said that 700 halal certificates have been issued in South Sulawesi. MUI, he said, has no problem with suggestions that other agencies should also be able to issue the certificates. Regarding MUI’s sole right to provide the service, he said that it was acquired based on the cooperation between three institutions: MUI, the Religious Affairs Ministry and Ministry of Home Affairs.